A second call for Freakonomics to clean up its act. On Friday, I blogged about how Freakonomics posted a provocative photo on its blog and that the use was probably not fair use. As I investigated the matter, it became clear that Freakonomics was engaging in widespread image hijacking: namely, directly linking to photos on other websites, a practice that goes by many names, including inline linking, hotlinking, leeching, direct linking, and bandwidth theft. So which is worse? Copyright infringement or bandwidth theft? Both are bad. Which makes my post look erroneous while ignoring the underlying problem. Not the result I was hoping for. Why is inline linking very very bad? We’ll let’s assume that you’re Freakonomics. 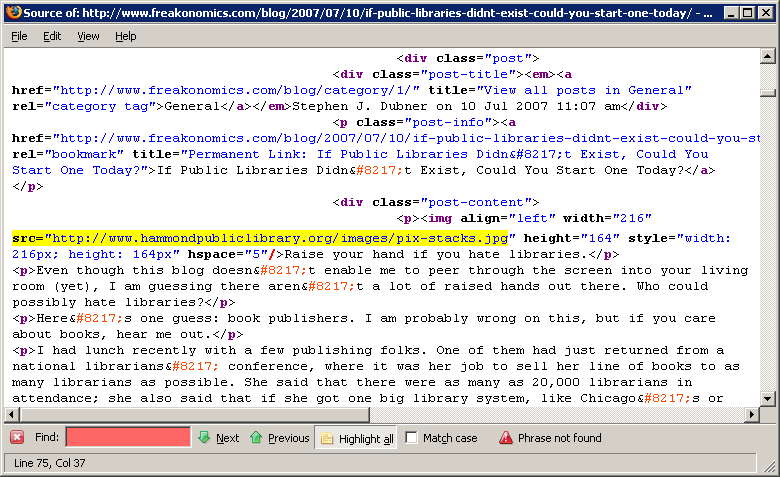 And you post an interesting article about libraries (Google’s cache of the Freakonomics library post). And that post gets picked up by Reddit. And you servers get hammered. So hammered that you have to blog about how you couldn’t even access your own site. It’s one thing to copy an image and then have your own servers get hammered. It’s another thing entirely to link to an image on another website and have the unwitting third party’s server get hammered. I wonder how a public library feels about having its bandwidth stolen to sell more copies of Freakonomics. Here’s another example of how Freakonomics is stealing content from other websites. 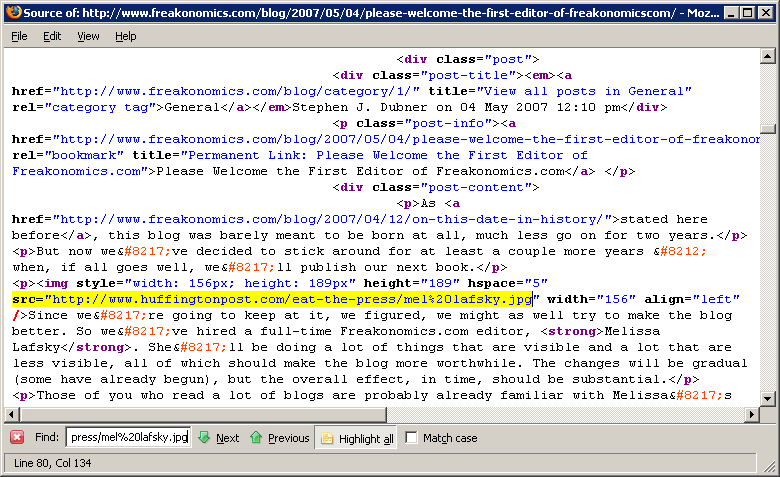 On 05/04/07, Freakonomics welcomed a new editor, Melissa Lafsky. 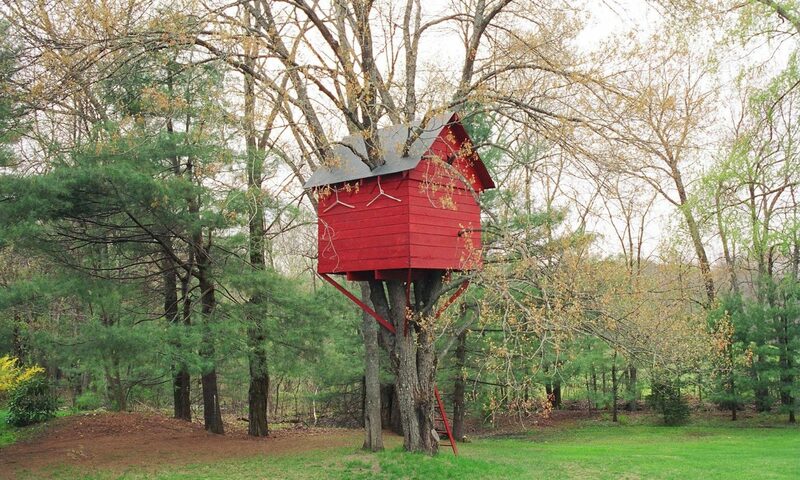 (Google’s cache of the Melissa Lafsky announcement.) In the post welcoming Melissa Lafsky, Freakonomics stole the image of Melissa Lafsky from The Huffington Post. And in this case, the use arguable would have been fair use! I repeat my call for Freakonomics to clean up its act. The Freakonomics team should publicly identify all blog posts (not just the ones I’ve linked to) where it directly linked to photos on third party websites, eliminate those direct links, publicly apologize to the third party website owners, and purchase some images for its blog. I used to hate people hotlinking to my site. Then I figured out how to configure my web server to serve up an ad for my nonprofit instead of the requested picture when anyone hotlinks. I don’t have a bandwidth limit, so I don’t have to worry about that. Agreed, though I think it is a bit unfair to blame McCain himself. It’s almost certainly a staffer that did that. The problem with these kinds of cases is that, unless the copyright holders and server admins respond, there isn’t much that can be done. However, image hotlinking like that is very dangerous for a site, I’ve seen many cases where, rather than removing the image, it was changed into something much less than desireable. If I were them, I would stop before they wind up with an embarrassing situation on their hands.